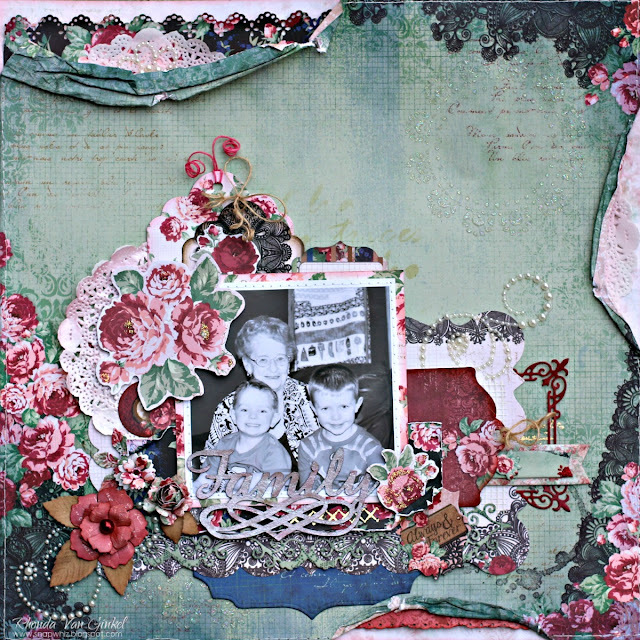 The BoBunny Blog: 1 Layout 3 Ways With Love & Lace! 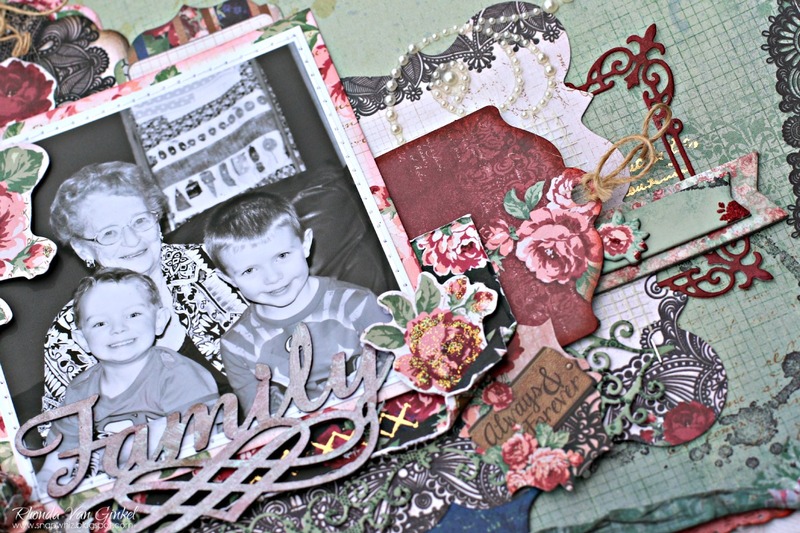 1 Layout 3 Ways With Love & Lace! I was thrilled to receive the new collections recently from BoBunny! Love and Lace is such a stunning combination of colors and design elements. Today I will show you a page in three varying degrees of complexity. Above you will see the easy version. 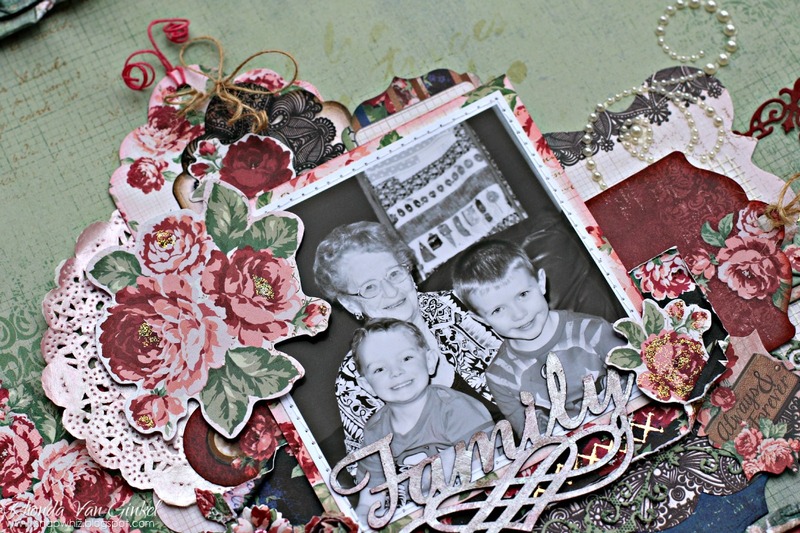 I've used Noteworthy and a few die cut shapes and layered my laser cut chipboard Family sentiment for the title. 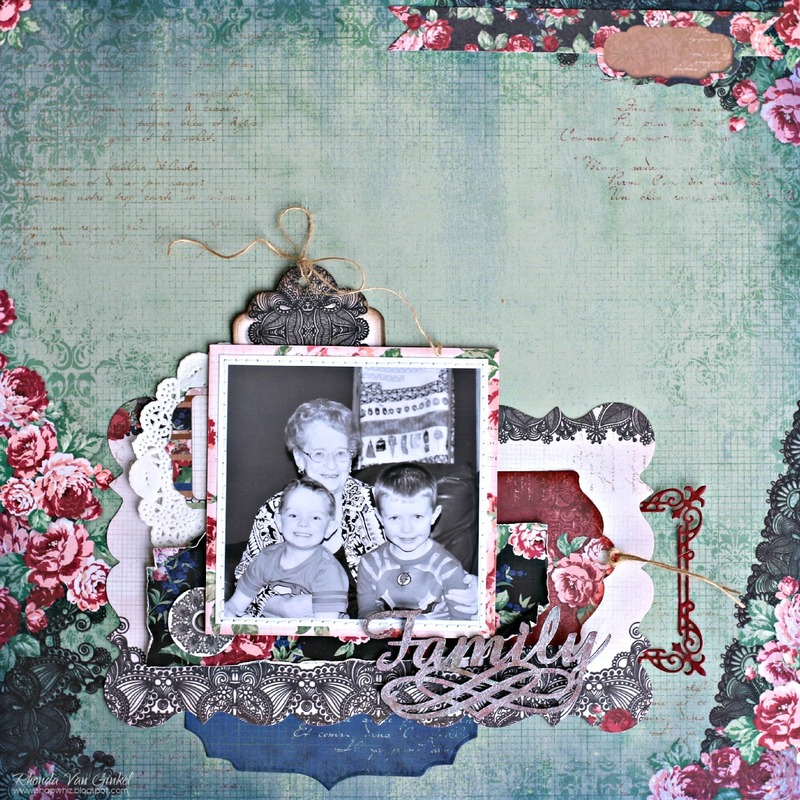 To keep this very easy, you could opt to leave the Family laser cut chipboard plain. I first sprayed Sugar Glimmer Spray, then Bronze Glimmer Spray and dabbed it lightly. After that, I smeared on Sugar Pearlescents mixed with Island Mist and Blush Pink to create an iridescent effect. This is the Medium level page, where I have added some torn edges as well as a bit of glitter paste that was applied over a Stickable Stencil on the upper right corner and the lower left bottom under my collage. 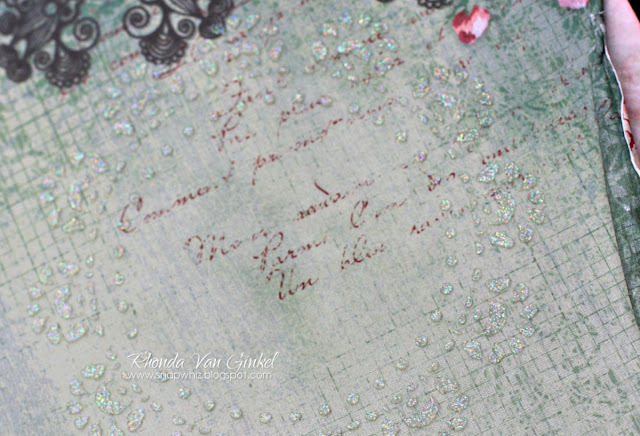 The small plain white doilies peek out of my torn papers on the top and side. In case the effect is not obvious in the larger photo, I wanted to share with you how beautiful the Sugar Glitter Paste is when added. It's the perfect amount of pretty texture, and dries quickly as well. The third version of this page with more masking and stamping added, as well as layers of tags, some Sugar and Blush Pearlescents were added to to the doilies to give them the light pink color. 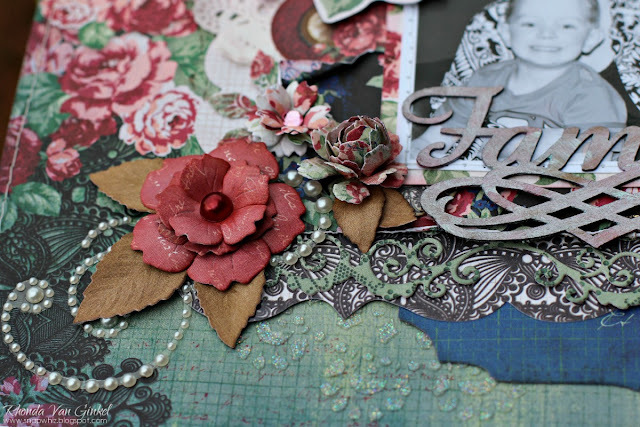 I've also included some Foil Transfers in Accent Gold and Flourish Jewels along with a few flowers. 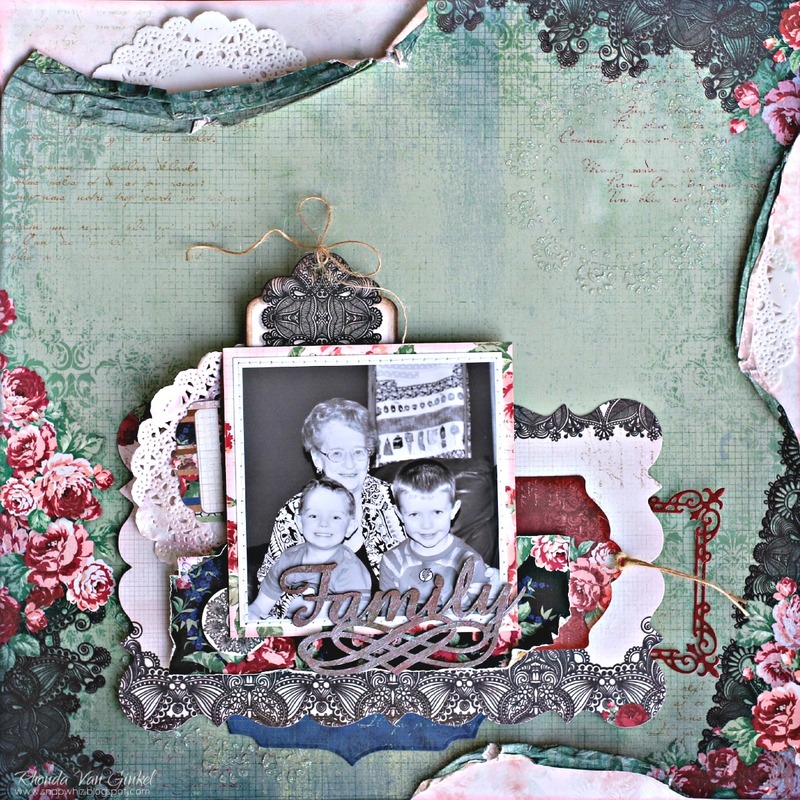 The extra die cut tag and Noteworthy florals and tab are added, as well as the "Always and Forever" sentiment sticker from the Combo Sticker sheet. A bit of stamping in the bottom right corner and the Layered Chipboard layered under the red floral tag. The pretty Lovely Leaf Dies paired with the Flourish Jewels, as well as the Elegant Border Die layered here. That's it for my post today, I hope you've had a bit of fun with me. Be sure to ask for the Love and Lace collection at your favorite local craft store today! We would love to see your work, so please share with us on Facebook. Lovely.The first is beautiful but it only gets better and better. Love all three ways. Love and la ce made beautiful layouts, especially the 3rd one down.